Play with honeybees, ladybugs and more little cute bugs. 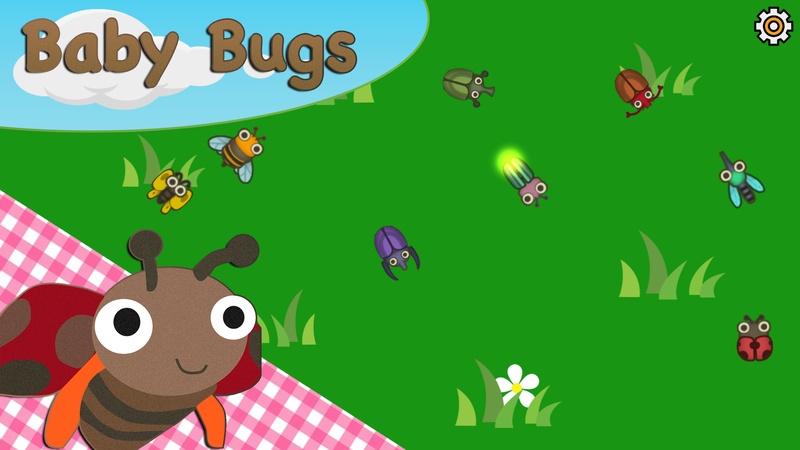 Baby Bugs introduces little children to the diversity of backyard insects. This game is designed for the little ones which are not used yet to complex controls or behaviours. Just touch the bug and it will fly. The child can play by himself without worrying of getting stuck in a menu or an unwanted purchase. The adult can help him to learn the names of insects while asking him to point them on the screen. 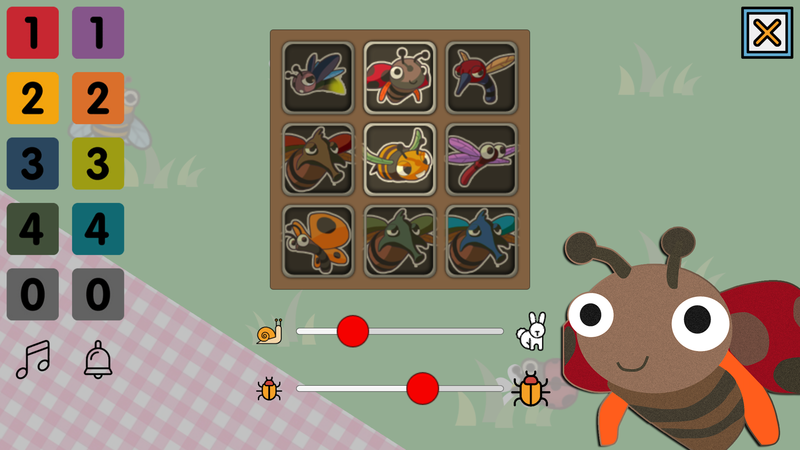 It also includes different types of music and sounds to choose from, as well as being able to select the number of insects that appear, their size and speed.